Alaska’s newest state campground, K’esugi Ken Campground, opened in 2017 in Denali State Park, operated by the Alaska Department of Natural Resources. Denali State Park borders the much larger Denali National Park on the west side, about 2.75 hours drive north of Anchorage. 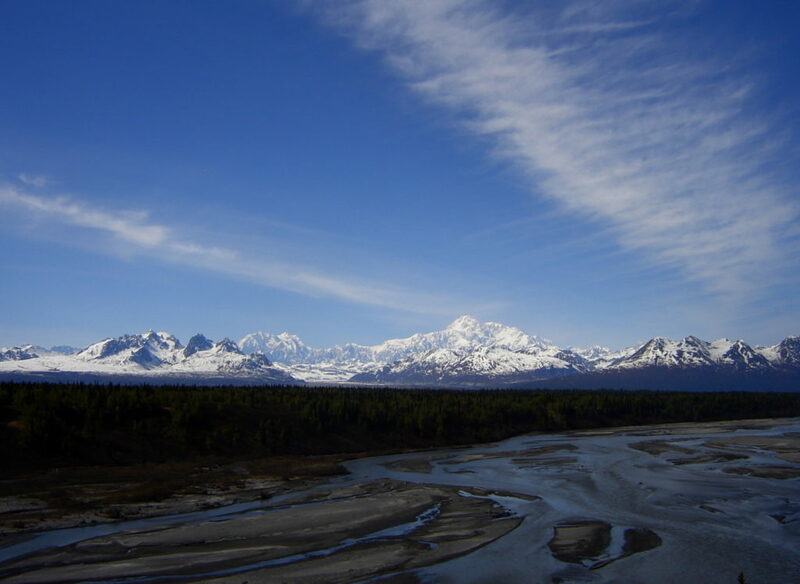 The campground offers astounding views of the Alaska Range and Denali (formerly Mt. McKinley) to the west and the Talkeetna Mountains to the east. K’esugi Ken is an Athabascan place name, translating to mean “base of the ancient one”. This refers to the southern lobe of K’esugi Ridge that lies between the Susitna and Chulitna Rivers. This ridge has been carved by glaciers and rivers over time. In clear weather from this location, stunning vistas of the Alaska Range and Denali can be seen. Denali’s summit is at 20,310 feet and is the highest mountain in North America. It stands over 3.5 vertical miles above its base—taller from base to summit than Mt. Everest (29,028 ft elevation). Denali is tall enough to create its own weather. Wind speeds over 150 miles per hour and temperatures of -93F have been recorded on the north face of Denali. The K’esugi Ken Campground has 32 RV sites that can accommodate up to 100-foot long RVs with electric hookups, non-potable water pumps, fire pits, picnic tables, and bear-proof food lockers. There are tent sites available on a separate loop, but no dump station. Users will find the campground well-designed. Three public-use cabins are available as well, including the Denali Cabin that is built to ADA standards for accessibility. An interpretive pavilion showcases some of the area’s interests with interpretive displays. This area is also available to rent for group events. Future plans include the construction of a new visitor center. 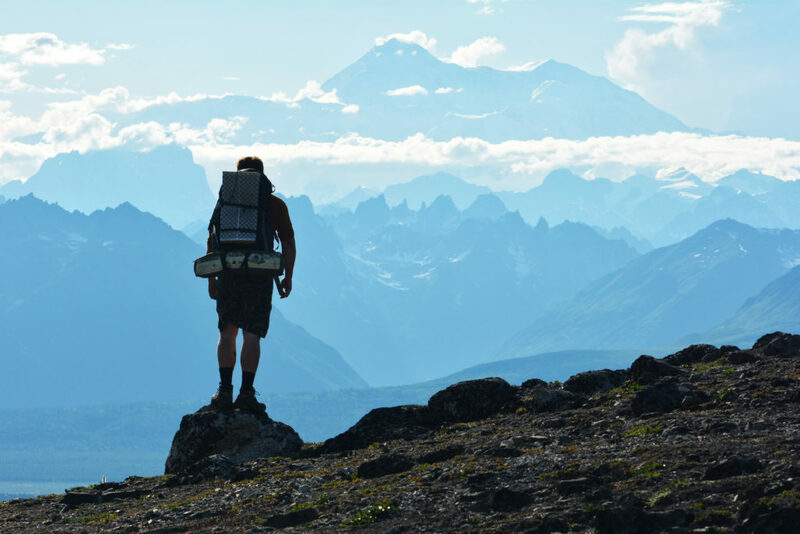 The K’esugi Ken Campground offers impressive trails that offer some of the best views of the Alaska Range in the state. The Moose Flats Interpretive Trail is ADA compliant and covers about a half mile around two ponds. The Curry Ridge Trail is more challenging with several switchbacks that climb 1100 vertical feet over 3.5 miles (one way) to a beautiful alpine lake at 1787 feet elevation. Timberline is around 1500 feet, allowing hikers to explore the boreal forest before emerging from the woods into sub-alpine and tundra terrain. Future trails are planned to extend the trail past the lake, deeper into the State Park. The Denali State Park is often less crowded than its National Park neighbor and offers many of the same wilderness experiences. The State Park encompasses 325,240 acres and a host of recreational opportunities from wilderness exploration to fishing, small craft boating, and wildlife viewing. Wildlife includes moose, bear, wolverine, wolf and many birds and fish. Most of the park is undeveloped wilderness. The Curry and the K’esugi Ridges form the backbone of the park. 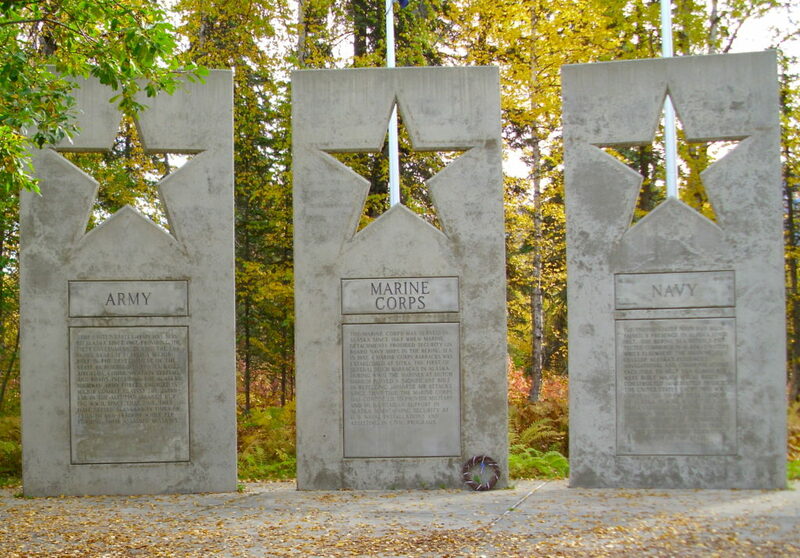 Within Denali State Park is the Alaska Veteran’s Memorial, constructed in 1983. The Memorial is an outdoor facility that honors Army, Navy, Air Force, Marine Corps, Coast Guard, Merchant Marine, and Alaska National Guard veterans from Alaska as well as Alaskans who were awarded the Medal of Honor. The visitor center at the Memorial is open daily during the summer. Byers Lake Campground, Denali View North Campground, and the Lower Troublesome Creek campground also provide camping experiences in the State Park. You can find out more here. You can explore Denali State Park and other Alaska State Parks with the Alaska Department of Natural Resources State Park and Trail Map Viewer here.